On April 23, WINGS WorldQuest will induct four new Fellows during our 2019 Women of Discovery Awards in New York City. Each week, we have shared insight from each awardee in a special Q&A series. 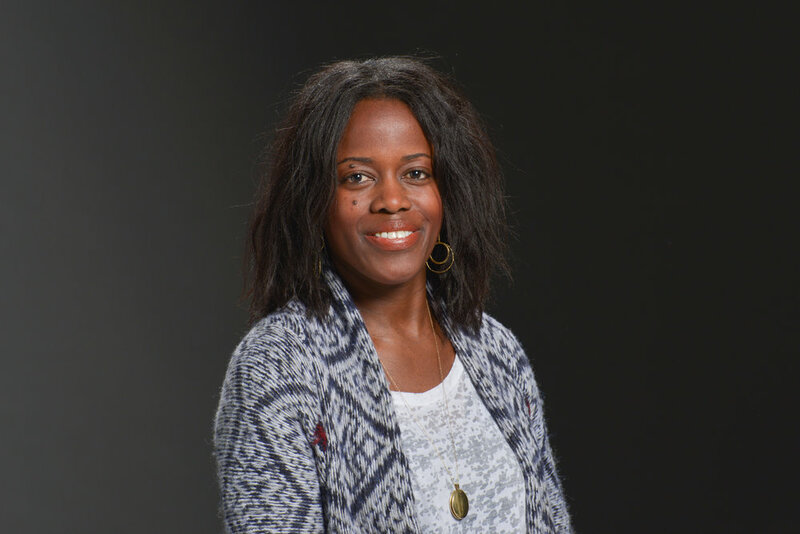 Our final Q&A is with Mandë Holford, PhD, an Associate Professor in Chemistry at Hunter College and CUNY-Graduate Center. She will receive the 2019 Women of Discovery Humanity Award. MANDË HOLFORD: I got involved in science through a mentor. I wasn’t a kid who grew up knowing I wanted to be a scientist. I wanted to be a track star and run in the Olympics. One ill-fated trip to the University of Pennsylvania Relays while I was in college killed that dream. My team was dead last in EVERY race. I also noticed the girls were bigger, stronger, and more focused (aka meaner) than I was. They wanted it much more than I did. I decided I needed a plan B. That’s when my intro chemistry professor, Dr. Johnson, asked me to work in his lab for an undergraduate summer science internship. Even though I didn’t know what we were going to do in his lab, I accepted the minute he told me it had a stipend. I always did well in math and science classes, but wasn’t excited by them because they were taught as facts, not as discoveries. It was, “we know the planets in the universe.” “We know the organelles in a cell.” “We know, we, know…” What was left to discover if we know everything? That first summer in Dr. Johnson’s lab I didn’t know, I discovered and that’s when I knew I wanted to be a scientist. I knew I wanted to be a venom scientist after I left my PhD at Rockefeller University and wanted to bridge the biomedical training I received there with my interest in the natural sciences. I wanted to go on expeditions and build a collection, things that curators at Museums did. Really, I wanted to work at the American Museum of Natural History because growing up as a kid I thought it was the coolest place ever and when I started making discoveries in college I realized it was a science mecca so I wanted in. Natural History museums don’t hire peptide chemists, which was my specialty in grad school. Venom allowed me to bridge my specialty with my desire as the venom arsenal of most venomous creatures is made up of peptides. The first time I saw a snail eat a fish using venom peptides the skies parted and a shining sword came down tapped me on both shoulders and said go forth and find snail venom. Not exactly, but I knew I found my niche, just like I knew when I was moving protons around with a laser in Dr. Johnson’s lab that summer. It bit me and I’ve been intoxicated ever since (corny puns intended). MH: It’s a very exciting time to be a venom scientist. Venom science is a moonshot that chemists, biologist, ecologists, computer scientists, and engineers can all engage in to help us learn how and perhaps why our planet is so biodiverse, cellular function and communication at the molecular level, drug discovery and development, and perhaps even identify methods and materials for drug delivery. The work we do is transformative. If you’re a comic geek think of The Transformers… Optimus Prime time… he’s more than a tracker trailer. Similarly, venom has the power to transform animal evolution and to transform human lives. This is because it can be both a potent killer or a healing remedy (kill or cure). I can be a God or a deathstalker, and sometimes the deathstalker is god, as is the case with the scorpion venom peptide that is being used to identify brain tumor cells. I think venom science is an opportunity for us to learn not only how species evolved but also how the human body works as venom was developed to act on physiological systems. And there’s a whole lot to do! We think that about 15% of all animal biodiversity is venomous. This is based on known species, but there are a lot of species we haven’t discovered and this number could change. The opportunity to engage with biodiversity, learn how species evolved, and how nature’s deadliest cocktail could benefit humankind is an adventure movie Hollywood should be begging to invest in. MH: Well it has nothing to do with how smart or physically fit we are. It’s not about skirts or pants, ponytails or pink nails. No one wants to be treated as second class or as an afterthought and I think that still prevails in science for women. The illusion that the enterprise is a meritocracy when we know that in elite networks pedigree opens all doors. I also think salary and inadequate childcare are big barriers. The two are not necessarily linked. More and more it’s being recognized that the salaries of postdoctoral scholars and assistant professor are not sufficient across the board. These are the career depots where most women leave. If you’re with a partner that is making more money and relocation is required, the person who sacrifices is going to be the scientist. Also, while not every female scientist wants to be a mother, generally around these times is when a woman wants to start a family and the scientific enterprise isn’t paying a salary that supports child care and most institutions don't have facilities for childcare. This makes it an either/or choice and those that want it will choose family. Institutions have to change, pay scales have to increase and we need adequate childcare on campuses. These fixes aren’t a cure all, but I think they help alleviate some of the barriers. MH: My two-year-old. Literally at 6 a.m., every morning. And increasingly the thought of having an impact in my field and beyond. Science is so pervasive in our lives, but it’s like the shy cousin standing in the corner. People are curious, but not motivated enough to ask, and the shy cousin can stand in that corner forever. We need to have emerging scientists get out of their silos, and interact with other disciplines, the public, school groups, and engage in meaningful ways. Doing so early in your career establishes a habit and culture of outreach where you share the joy of discovery and the excitement of knowledge. How you cannot be fascinated by the idea that there are killer sea snails that eat fish? These aren’t your average venom critters, yet still they are fully loaded and can be just as deadly. Maybe I’m biased, well, yes, I’m biased, I think scientists have a special role to play in making our world a better planet. And we can’t shrink from that role, we have to embrace it. With great powers comes great responsibility…aka Spiderman, another venomous critter. MH: Personally: I still need to run the NYC marathon with my friend Jackie. I’d also like to go to the Arctic and Antarctic poles. Professionally: In the lab – I’d like to figure out if we can use the phenotype of venom peptides to identify patterns in their genotype… lost you? Something like can we use the spots of a leopard to figure out what species it is. Outside the lab – I want to make learning games that inspire a love of science in K-12 students via my EdTech company Killer Snails. The grand challenges facing society today, from climate change to food scarcity to energy efficiency, all have science and technology at the center. How we teach STEM subjects has to change because we need those kids to solve our global challenges. Using games, table-top, digital, virtual reality and more, allows us to bring scientific content to students in a way that they enjoy and want to engage in. That’s half the battle, getting students interested, then you teach them something as the play the game. WWQ: Describe yourself in three words.